The governor of Kaduna state, Nasir El-Rufai, has appealed to pastors in the state to give support to his reelection for second term in the forthcoming general elections. He urged the Christian community in the state during a meeting with the religious leaders under the group Pastors United Change Association (PUCA) on Saturday, February 9, Sahara Reporters reports. It should be noted, however, that it was reported that the governor had earlier said that if Pope was his deputy running mate, 67% of Christians in the state would never support him with their support. He also asked the Christian community not to judge him based on what have said about him, but on his past performance in the state. He said: “In my life, I have never worked with people based on religious and ethnic consideration. Don’t look at what people said, but what I have done in the past. “Late Professor Andrew Nok, our late Commissioner for Education, brought Dr Hadiza Balarabe when we were looking for someone that can revive our primary health in the state and she performed excellently well. Recall that Legit.ng earlier reported that a Kaduna state high court on Friday, February 8, issued a warrant of arrest against the chairman of Code of Conduct Bureau (CCB) for contempt over a case in which Governor El Rufai was alleged to have declared N90 billion in his CCB assets declaration form. 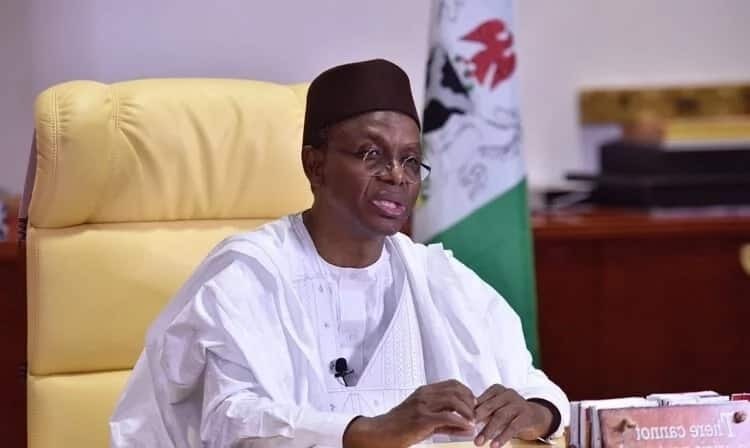 The warrant of arrest was issued by Justice Mario Mohammed after the chairman ignored several summons by the court in a suit between Kaduna state governor, Nasir El-Rufa’i and Today’s publishing Company Limited, and one other.